This pattern has a new cover and back and added material options as of 2017. Shortcake is a super simple pattern made for beginners. 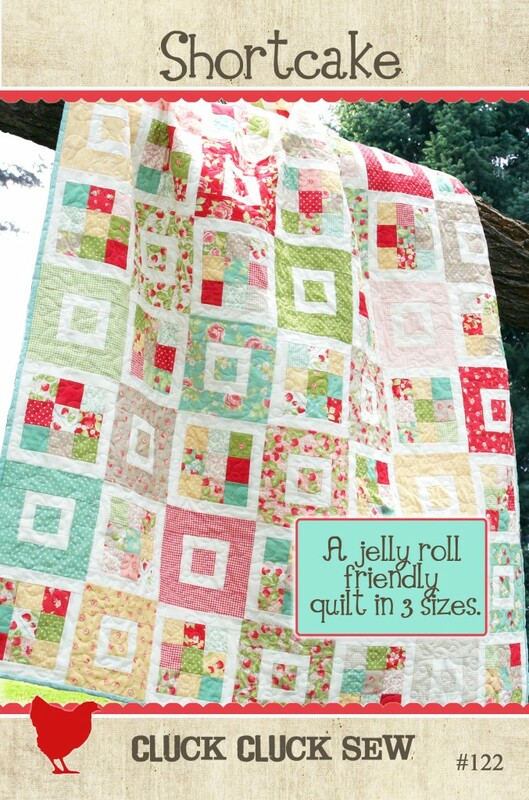 It can use a jelly roll, scrap strips or strips from your favorite fabrics. The pattern comes with the option of making a throw, twin, or queen/king sized quilt. 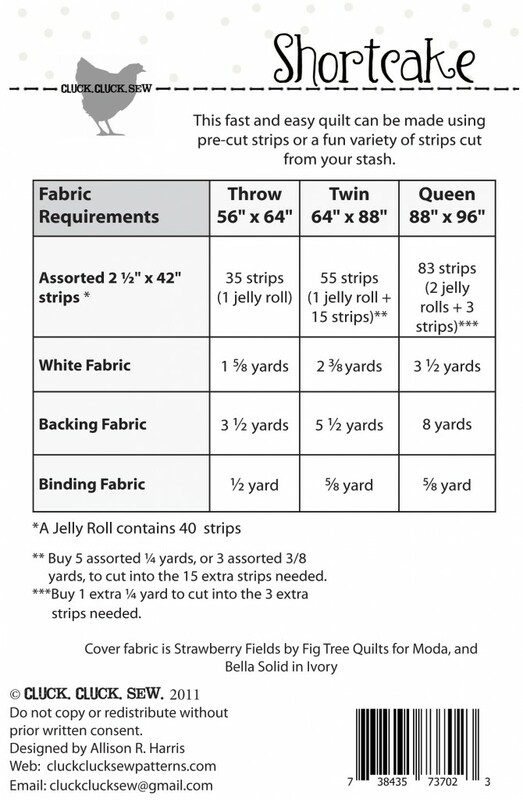 See the second photo for fabric requirements and sizes.